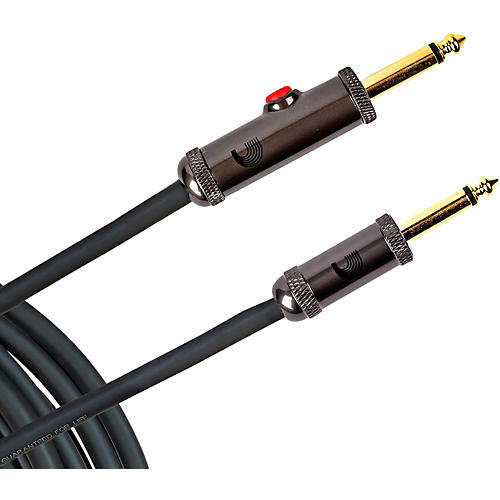 The Circuit Breaker instrument cable with Latching Cut-Off Switch has the same solderless plug connection as its predecessor, but features an actuated “kill switch” that allows for noise-free instrument changes. Press the switch once to mute the signal to the amplifier completely. Press again to reactivate the signal flow. Available in a variety of lengths. This is the straight plug model.